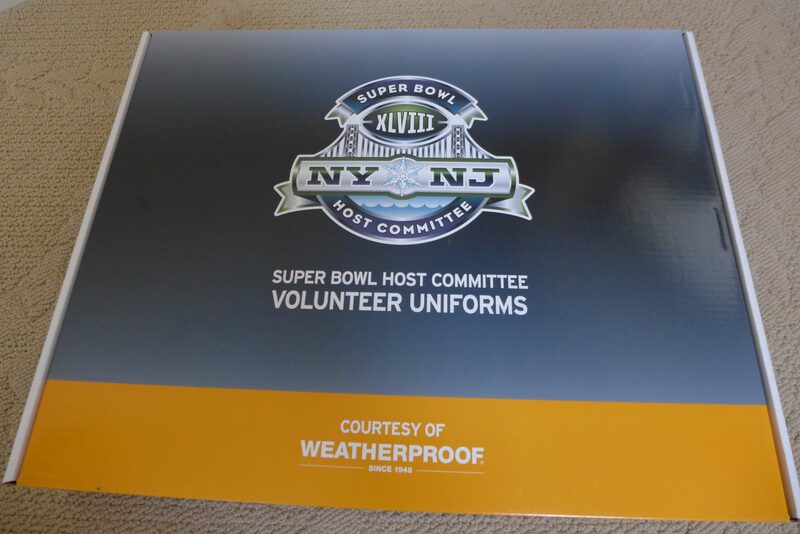 I headed down to the Meadowlands Hilton yesterday morning to pick up my Super Bowl volunteer uniform. The line snaked Disneyworld-esque, filling the hotel lobby. 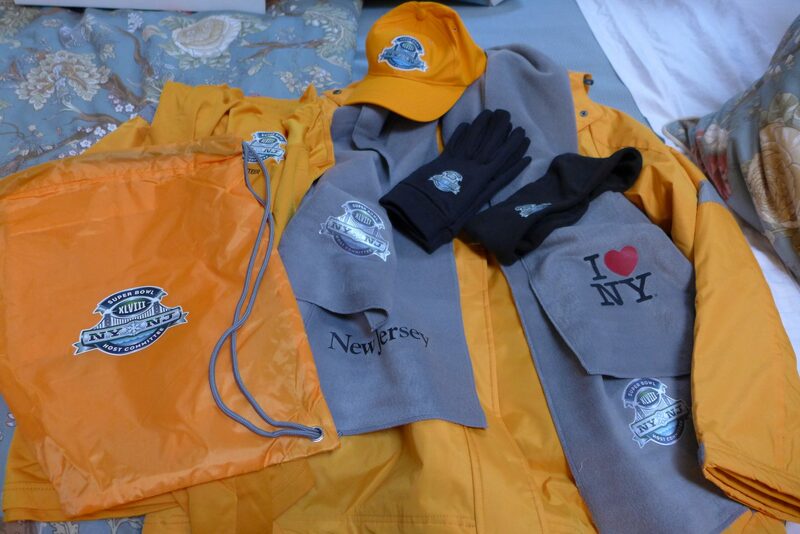 Very patient senior volunteers circulated throughout the crowd with sample jackets so folks could try them on. It was like Christmas all over again! We were reminded not to wear our gear before reporting for our shift and not to share items with non-volunteers. My daughter said it was like college; apparently there are very strict rules about who can and can’t wear fraternity and sorority letters. Since I still embrace my inner Girl Scout (“Be Prepared!”), I’ll spend the next couple of weeks prepping facts about my shift locations: 59th and Lex and Midtown/Broadway. If you have a favorite restaurant or sight that you’d recommend, please let me know! Very cool! Do you know what your volunteer task will be? In terms of restaurants, you’ll be close to one of my favorite NYC spots,TAO (58th b/w Park and Madison), and a frequent wknd lunch spot, Chola (58th between 2nd and 3rd). I sense we’ll be stationed and serving as goodwill ambassadors – Can I help you? Do you need to know where Rockefeller Center is? etc. Terrific restaurant suggestions at two different price points. Thank you. I don’t know about adornments – this is an official uniform, after all. However, when designing the “looks”, keep in mind that the jacket is a 3-in-1, lending itself to multiple combinations. I’m already working on a “scarves as leg warmers” variations. Got mine yesterday at Hotel Pennsylvania. Line was only about 20 minutes. You were so smart to wait-jealous! Where are your posts?